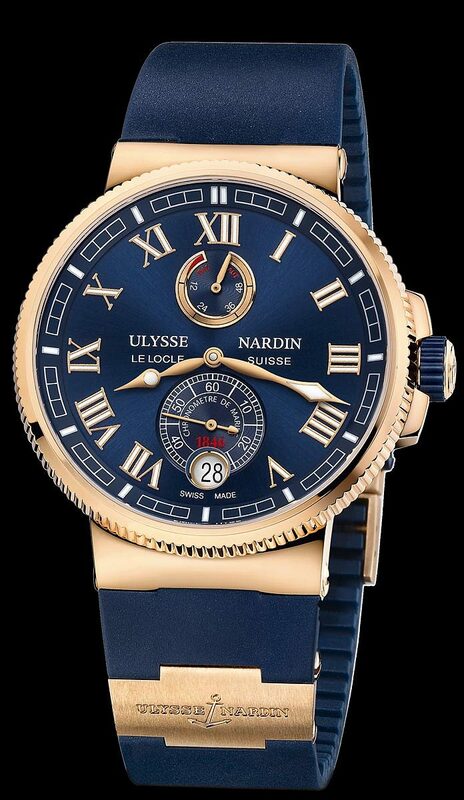 Mens, 43mm, rose gold case, elegant blue color dial, Ulysse Nardin in house movement, date, and 42 hour power reserve indicator. It features a full exhibition glass back, with visible rose gold rotor etched with the Ulysse Name and anchor logo. Available on a matching blue rubber strap and folding rose gold buckle.